I have it and I love it...so me! And so creative, I am going to have to CASE this...must pick up a few maps!! 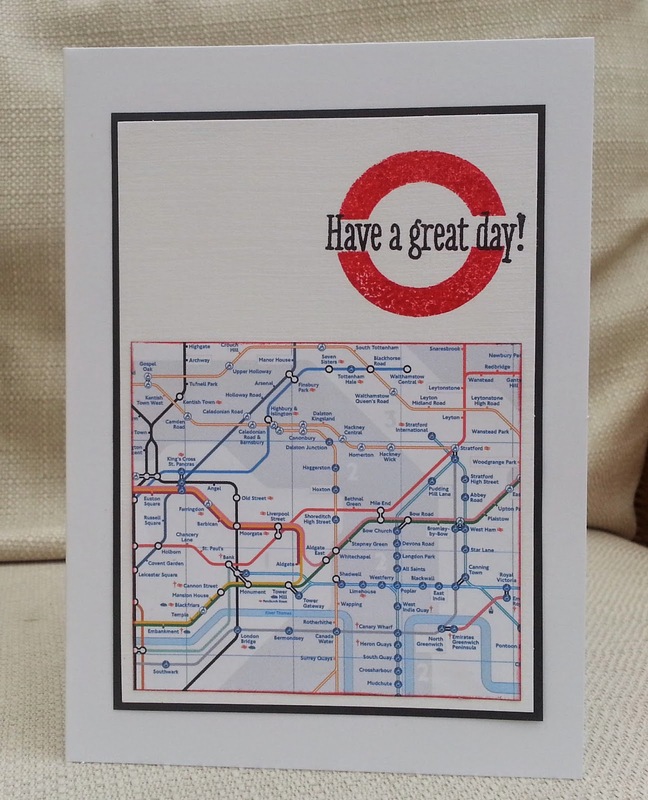 Your Sandie-inspired, CAS-style, London-themed card, infused with YOUR style and flair, is BRILLIANT! Crisp, eye-catching and oh, sooooo classy! Perfect for the birthday gal, indeed! Such a great idea to use the map! And the sign-sentiment is perfect! What a perfect card for Sandie! Awesome use of the fun map! She will love this! This is just so fun! I love your fabulous map and I am sure Sandie loves it too. Creative, wonderful card! Thanks so much for the sweet comment you left for me! How creative to use the map. This totally screams Sandie! Great work! This design seems perfect for a birthday card for Sandie! I think it's a fun metropolitan design! Oh ya! I am all over any card inpsired by a song by The Jam!! Love it! Love the map! Thanks for playing along with us at Shopping Our Stash for the "sing it to me" challenge!! What a SUPER custom card! I love the way you've used the logo.